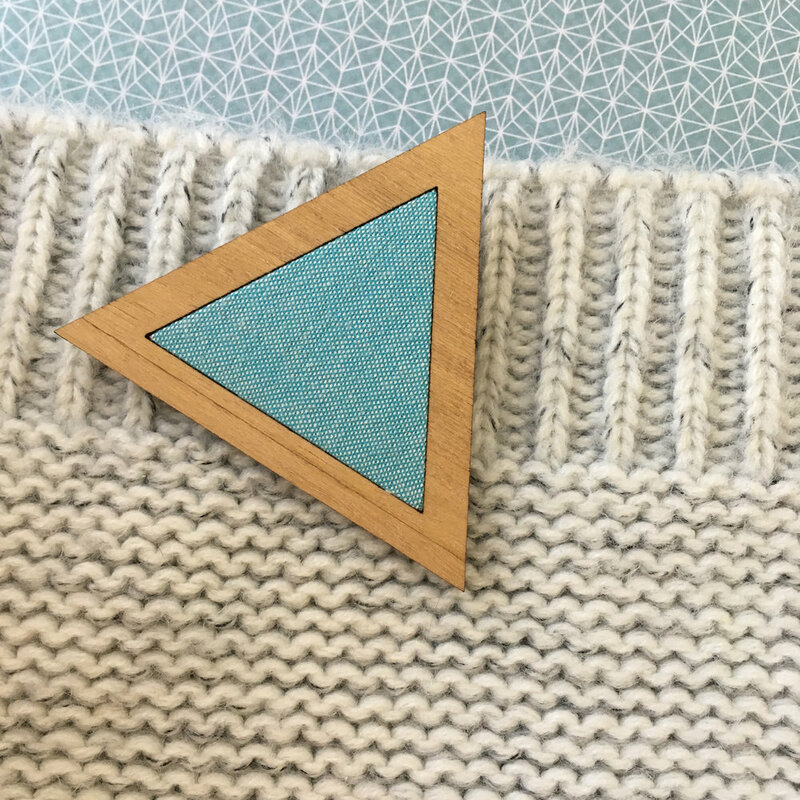 The NEWEST range is the [fabric/bluegum] fellas. 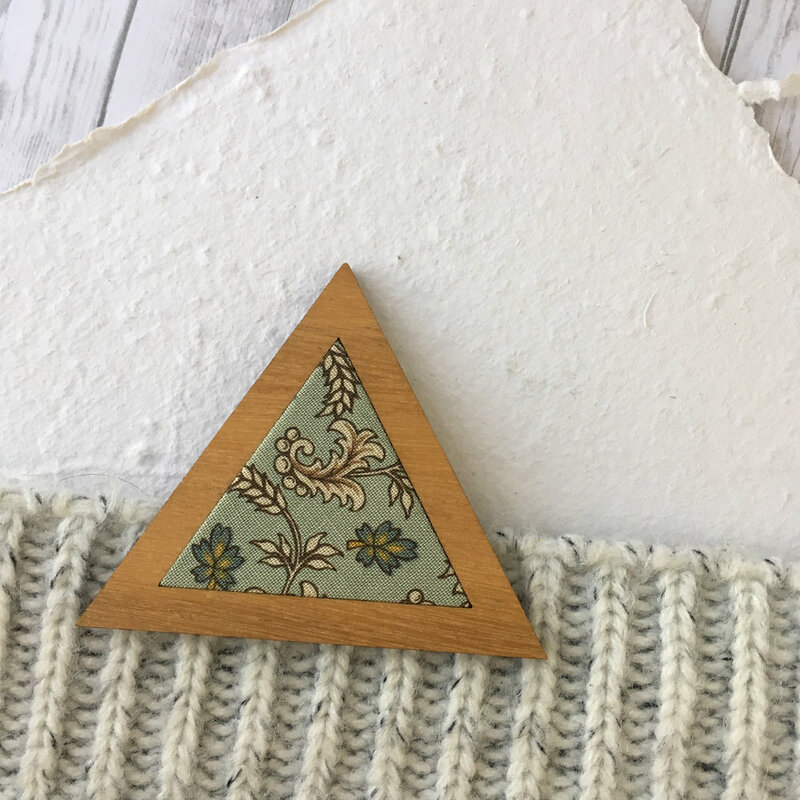 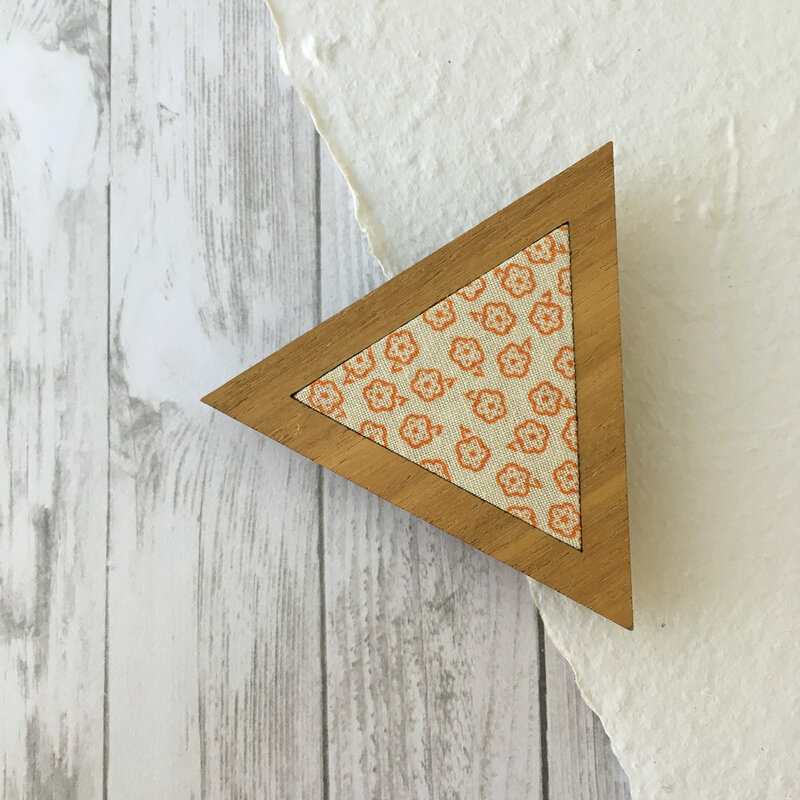 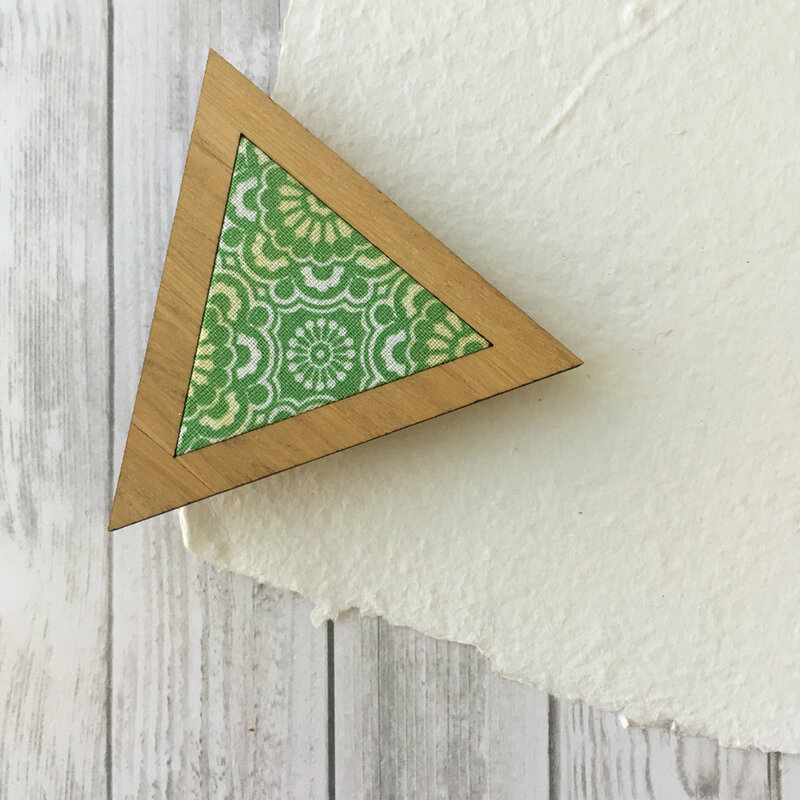 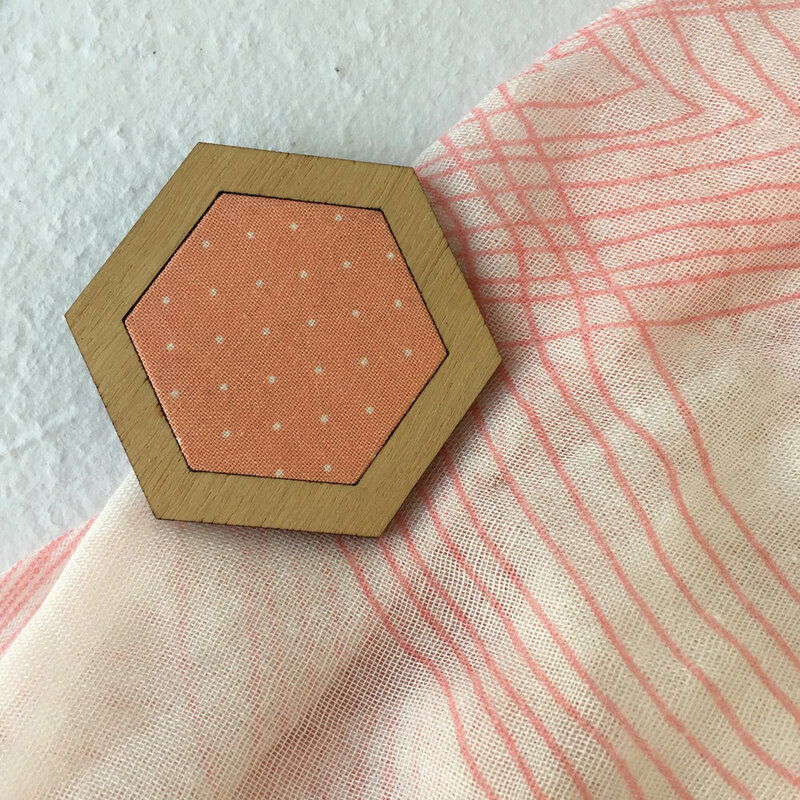 The brooches come in a vast range of forever changing fabric options in 3 shapes: triangles, circle or hexagon. 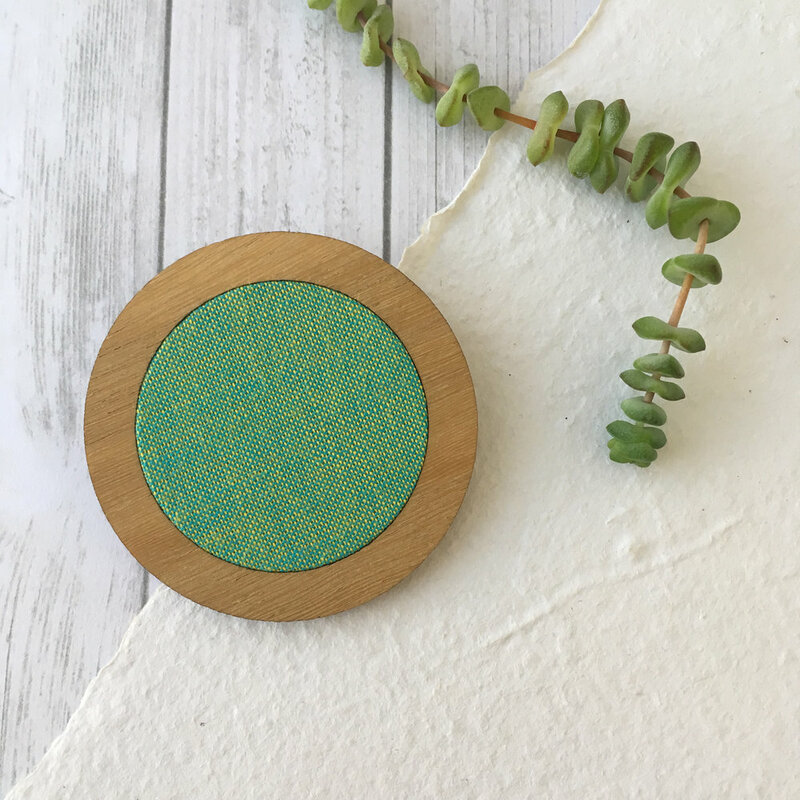 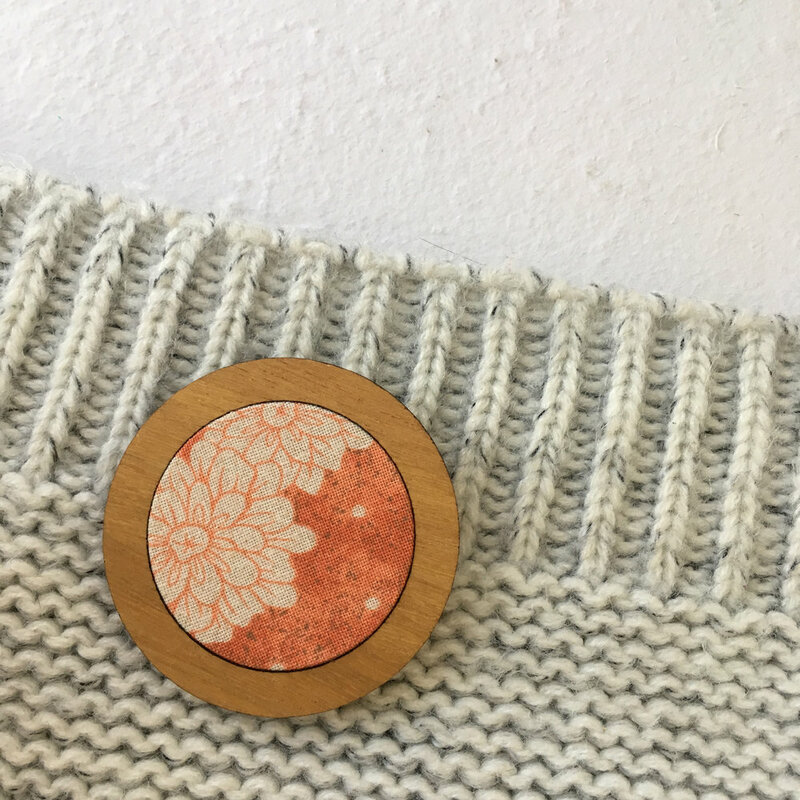 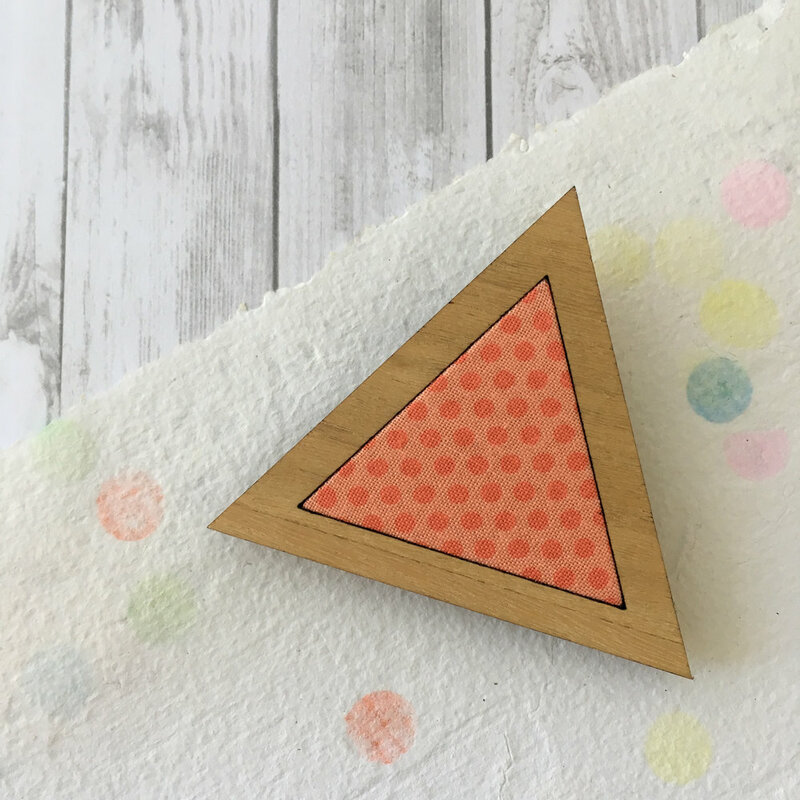 Perfect for popping on a knit scarf, these cuties are made up of a fabric centre surrounded by a bluegum border. 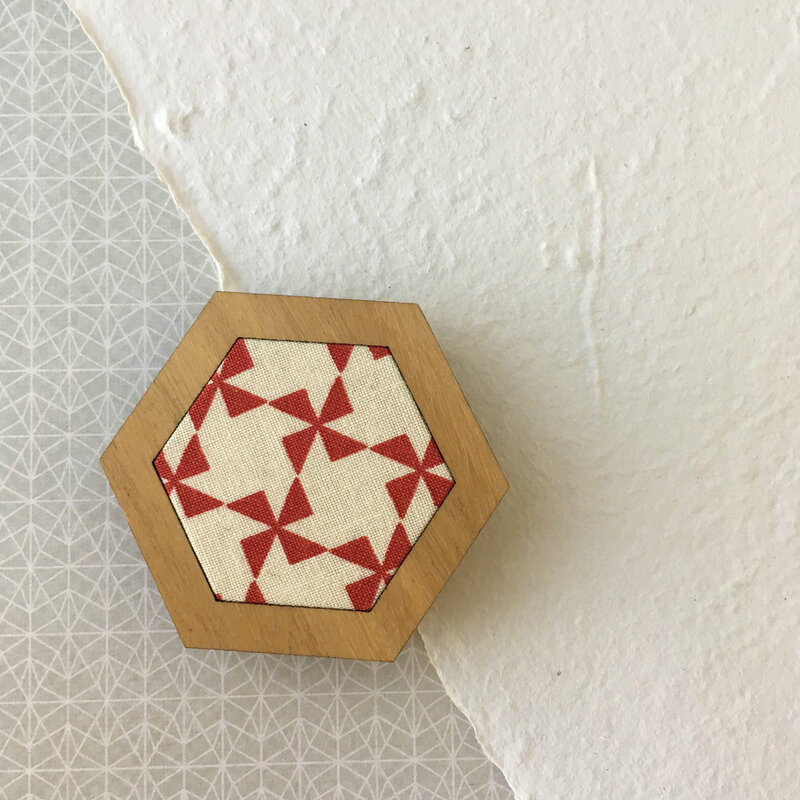 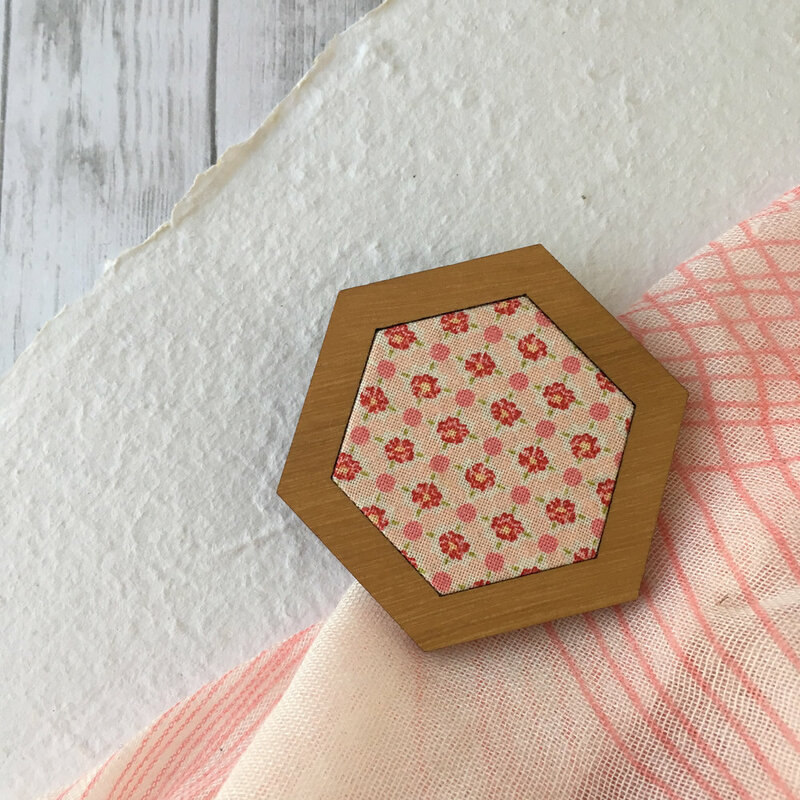 Available in triangles, hexagons and circles and in SO MANY FABRIC OPTIONS in a LIMITED RANGE BELOW or a CUSTOM piece on request.